This is the Face of the JOSFC, a fun, family friendly, regular guy fishing club. We are the average fishing people, most of our members boats are 18′ to 26′ center console outboards, and we even have members that don’t have boats, they fish as crew on other peoples boats, helping pay for gas and bait. When you visit us we will feed you a free meal starting at 7:00 PM with the meeting and Guest Speaker starting at 8:00 PM. Inshore – One of the many questions that we receive during the year is “Do you have to have a big boat or do you only fish offshore. “ The answer to this is no. What makes JOSFC unique is the fact that the membership is as diversified as it can get. Jacksonville, FL itself is unique by not only having great Red fishing all year along with the migration of Flounder and Trout but we have a river system St. Johns River that allows fresh and salt water fishing without ever leaving the mouth of the river. Many of our members specialize in river fishing with Bay Boats, Skiffs, John Boats, Gheenoes, and Kayaks. Several of the members are charter captains that offer their services for Red, Trout and Flounder. We have club tournaments that are targeted only for this style of fishing. All Club Tournaments are FREE to members! 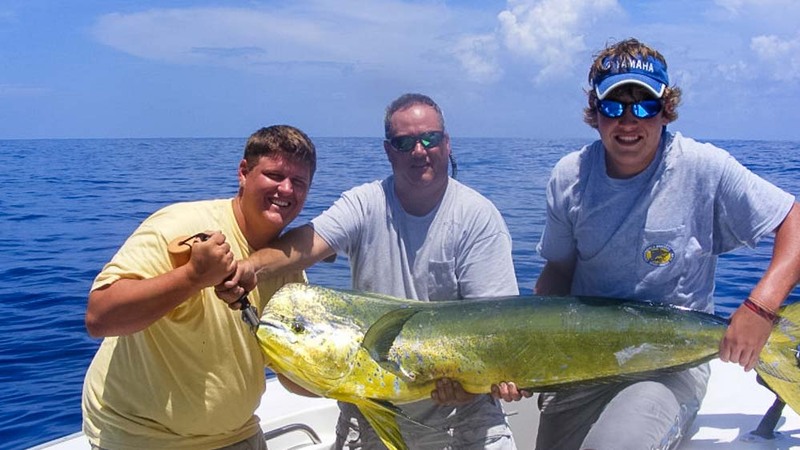 Offshore – JOSFC is lucky to have not only Inshore Charter Captains as members but also Offshore Captains these members specialize in fishing the ocean. Many of the members participate in offshore tournaments fishing the Northeast Florida Wahoo shootout, Saltwater Challenger Series Dolphin and Cobia tournaments. Last but definitely not least Jacksonville Kingfish Tournament which has seen members over the last several years not only finish in the top 5 but also outright win. Boat ranges in sizes from 17 to 36 ft center counsels, walk around and catamarans. Meetings – First and Third Thursday of each month we have meetings to discuss upcoming events in the fishing and boating world. Meetings coincide with the fishing that is available and we have guest speakers. Some of these speakers you have heard on the radio on Saturday morning 930 a.m. Rick Ryles and Roger Walker both past Presidents, Captain George from the Mayport Princess. We also have inshore Captain Sipler, Captain Vic Tyson and many others. All speakers are local Captains who have fished these waters for years. These speakers are included with your yearly fee. Dues – Second most asked question. What do I get for my dues? How about Expert Guest Speakers, unpublished “Numbers”, 24 dinners, along with information from other members about what species is biting and where they are, what bait is working and what tide or water temperature is the best bite. Chances to go with other members that will show you local tricks ( Some may even give you a “Number” or two.) A monthly News Letter, E-mail up-dates on important fishing matters and discounts at some stores and for many activities. Individual dues – $40 dollars a year. Family dues – $50 dollars a year. There is a $25 dollar Application Fee, but your Membership Packet is worth more than that! “How To” Seminars, the latest fishing information, fishing buddies and a whole lot more. It won’t cost you anything to visit us, but I am so sure you will like this club, I will tell you to bring your money so you can join the evening of your visit!